Welcome to WordPress. This is your first post. Edit or delete it, then start writing!Welcome to WordPress. This is your first post. Edit or delete it, then start writing!Welcome to WordPress. This is your first post. Edit or delete it, then start writing!Welcome to WordPress. This is your first post. Edit or delete it, then start writing!Welcome to WordPress. This is your first post. Edit or delete it, then start writing!Welcome to WordPress. This is your first post. Edit or delete it, then start writing!Welcome to WordPress. This is your first post. Edit or delete it, then start writing!Welcome to WordPress. This is your first post. Edit or delete it, then start writing!Welcome to WordPress. This is your first post. Edit or delete it, then start writing!Welcome to WordPress. This is your first post. Edit or delete it, then start writing!Welcome to WordPress. This is your first post. Edit or delete it, then start writing!Welcome to WordPress. This is your first post. Edit or delete it, then start writing!Welcome to WordPress. This is your first post. Edit or delete it, then start writing!Welcome to WordPress. This is your first post. Edit or delete it, then start writing!Welcome to WordPress. This is your first post. Edit or delete it, then start writing!Welcome to WordPress. This is your first post. Edit or delete it, then start writing!Welcome to WordPress. This is your first post. Edit or delete it, then start writing!Welcome to WordPress. This is your first post. Edit or delete it, then start writing!Welcome to WordPress. This is your first post. Edit or delete it, then start writing!Welcome to WordPress. This is your first post. Edit or delete it, then start writing!Welcome to WordPress. This is your first post. Edit or delete it, then start writing!Welcome to WordPress. This is your first post. Edit or delete it, then start writing! 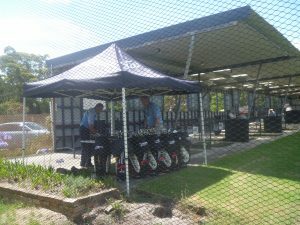 Helensburgh driving range is owned and operated by a member of the Helensburgh community (operating since 2000), and offers a full range of facilities including driving range, putt putt, party rooms and golf tuition. Helensburgh Golf 2018 All rights reserved.